After being turned down by the ruling Britons, the rightful heir to a famous dynasty inspires local villagers to build a dam themselves. A small-time ...More. 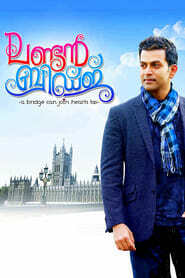 London Bridge is a Malayalam film directed by Anil C. Menon starring Prithviraj Sukumaran, Mukesh, Andrea Jeremiah and Nanditha Raj in the lead roles....More. A policewoman has always had the worst luck in love. On a trip to Malaysia, she finally meets the man of her dreams. However, her Perfect Man might no...More. After being brutally murdered, 14-year-old Susie Salmon watches from heaven over her grief-stricken family -- and her killer. As she observes their da...More. A local don locks horns with the new cop, who has come to his place, but both are not what they initially seem to be.. When Harsha, a bike stunter from Vishakapatnam, accidentally meets Indu, he discovers his warrior life Kala Bhairava in his last birth. the remaining ...More. A mysterious criminal rolls into a small town planning to knock off the local bank, assuming it will go off without a hitch. But when he encounters a ...More. Radha (Naga Chaitanya) and Krishna (Samantha) are a married couple with a kid Bittu in early 1980's. They die in an accident. Bittu (Nagarjuna) grows ...More. Mannar Mathai Speaking 2 is malayalam comedy thriller film, directed by Mamas. It is a sequel to the 1995 cult comedy classic, Mannar Mathai Speaking ...More. The story revolves around a haunted farmhouse Mantra Nilayam, which is owned by Mantra (Charmi). She tries to sell the house but due to mysterious dea...More. Dacoit Sunder Singh kills a brave police officer, Shefali's husband. To avenge his death, Shefali secretly hires two mercenaries..
Mass (Akkineni Nagarjuna) is an orphan, who bonds well with his landlord's son Adi (Sunil). He is behind a collegian Anjali (Jyothika) who happens to ...More. Masterpiece is a 2015 Indian Kannada action-thriller film written and directed by Manju Mandavya. 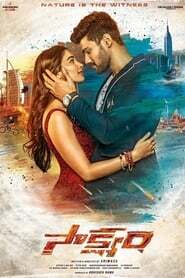 It stars Yash and Shanvi Srivastava in the lead role...More. The plot revolves round the life of Karthik (Dhanush) a struggling freelance photographer in Chennai who does portfolios, weddings and other functions...More. A gawky teen's wish comes when she turns into a sultry 25-year-old overnight in this racy fairy tale. Tired of lonely nights, Jassi (Payal Rohatgi) is...More. It is the story of a brother played by Rajinikanth who is a tough cop and his sister played by Sonia Sahini.The sister is in love with her College fri...More. 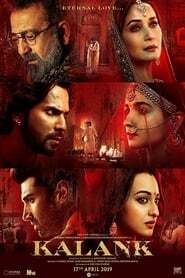 When evil lawyer Thakral prosecutes innocent family man Deepak and sends him to his death, his family is shattered--and when his son Arun grows up, he...More. Mogudu is a 2011 Telugu film directed by Krishna Vamsi starring Gopichand, Taapsee Pannu, Shraddha Das in the lead roles with Gadde Rajendra Prasad, R...More. 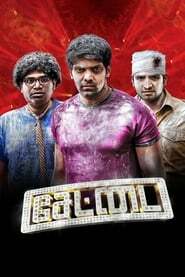 A spirit takes revenge on a few people by entering into the body of its lookalike..
Nookayya (Manoj Manchu), who calls himself Nokia, is an expert cell phone thief. He has a good heart though and together with his friends Nampally (Pa...More. Munna (Prabhas) is a college student. His aim is to finish off mafia don Kakha (Prakash Raj) who keeps the entire city under his grip. Munna has perso...More. A lavish Maharaja lived with his sister-in-law and stepbrother Rajasekhar, helping people incessantly. His sister-in-law has a son, to whom the Mahara...More. Indran suffers from narcolepsy, a sleep disorder that makes him fall asleep at the slightest excitement. He meets Meera and they fall in love but one ...More. A young man and his lookalike team up to fight injustice and settle their personal scores with the evildoers..
Chinna Vandu (Dhanush), the youngest of three brothers, falls in love with Vana Roja (Nazriya) when she visits her grandmother, coinciding with the vi...More. Sathya falls in love with Ramya at first sight and starts wooing her. But how will he take the revelations of his girlfriend's past?. 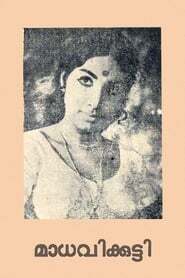 Nee Jathaga Nenundali is a Telugu romantic musical drama film directed by Jaya Ravindra. 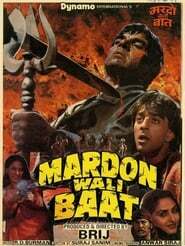 It the official remake of the Bollywood blockbuster romantic ...More. Abhi (RaNa) is a sharp shooter and a professional killer, who murders for money. Meenakshi (Ileana) who works in a coffee shop, has a dark side to her...More. Aravind, a principled young man, takes on the corrupt officers in the government. They soon launch a counter-attack. Will Aravind emerge victorious or...More. After graduating from college, Karthik decides to take a year-long break to discover himself and soon after he returns to Hyderabad, after a six-month...More. White(Ram) enters the Chilli market yard in Ongole at the age of 12. Adikeshava (Prakash Raj) is the chairman of that Chilli yard. White comes to know...More. Tony (NTR) is a wily youngster who does illegal things for money. He falls in love with Niharika (Tamanna) during a freak incident. He keeps following...More. 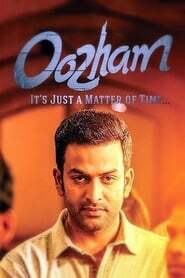 When his family gets killed by corrupt business tycoon, Soorya (Prithviraj) decides to take revenge, all by himself. Orange is a 2010 Telugu romantic comedy film directed by Bhaskar, in his third venture after Bommarillu and Parugu. 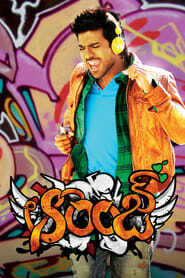 The film features Ram Charan Teja ...More. When Naidu confronts his son's rival group to end their squabbles, he encounters their mother Satya, his long lost love, separated by the twist of fat...More. 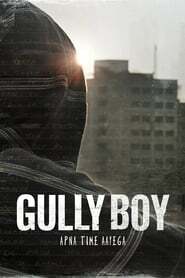 An extortion gang that murders businessmen kills a policeman working on the case. ACP Jayaseelan exterminates the gang by way of unofficial encounters...More. Radhakrishnan (Dhanush) alias Rocky is a 10th grade dropout youngster who is looked down upon by his father (Pratap Pothen), because of his sharp cont...More. Prakash (Nani) is a streetsmart Sherwani model in the old city who believes that money rules the world. His dream is to earn 1 crore and settle. Noor ...More. The movie starts with Karthik(Ram)who runs a multimillion-dollar company in Portugal living with his family. He meets another rich women Anushka (Sona...More. The story begins in Kolkata and here the mafia don Bhagawan (Jackie shroff) is ruling the roost. He has a loyal aide in the form of Jai who keeps prot...More. Neelakanta (Prakash Raj)has two daughters. His elder daughter Subbalakshmi (Poonam Bajwa) elopes with a guy called Babu from a lower class on the nigh...More. Tamil is a killer for hire, and will accept any contract provided the amount is right. The Police want him for questioning, while the underworld needs...More. Prema Katha Chitram is a 2013 Telugu film produced by Maruthi and Sudarshan Reddy, and directed by J. Prabhakar Reddy, who worked as a cinematographer...More. Ram and Lakshman a.k.a Lucky are brothers. Ram is a sincere guy who grows up to become an honest cop. Lucky is a happy-go-lucky guy who enjoys life. R...More. Satya (Nagarjuna) is a macho hero who can bash up any number of goons without even having a scratch on his body. He comes to Hyderabad from Kadapa and...More. 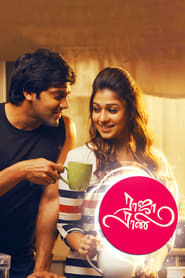 John (Arya) and Regina (Nayanthara) are forced into wedlock against their wishes. Both undergo a rough patch initially in their marriage as they are n...More. Raja is a blind man who's trained by his head constable mother to use his disability to his advantage. Lucky is the pampered daughter of a police offi...More. Murugan is a stunt actor in movies and his only aim in life is to become a good villain and get featured prominently in movie posters and cutouts. At ...More. Rama Rama Krishna Krishna (Telugu: à°°à°¾à°® à°°à°¾à°® à°•à±ƒà°·à±à°£ à°•à±ƒà°·à±à°£) is a 2010 Te...More. Rumors of Harish Shankar directing NTR were afloat before Gabbar singh released and became a huge success but the project was delayed because NTR was ...More. In Verona, bad blood between the Montague and Capulet families leads to much bitterness. Despite the hostility, Romeo Montague manages an invitation t...More. S/O Satyamurthy (read as Son of Satyamurthy) is a Telugu family drama written and directed by Trivikram Srinivas and produced by S. Radha Krishna unde...More. 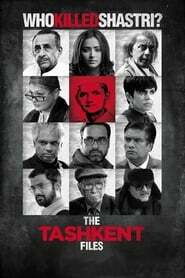 A group of people commit unspeakable crimes and are confident of getting away with it since there are no witnesses. But nature is witness to their cri...More. Gowtam is a guard employed by a security agency. One rainy night, he finds out that his grandfather has a treasure stashed away in Pakistan which was ...More. Sakthi is in love with Anjali but marries city girl Divya because his father has given his word to her dad. But Divya is least interested in making th...More. Sandhya (Kajal Aggarwal) is a student who is madly in love with Karthik (Ravi Teja), a techie based in Italy. She decides to travel with him to India,...More. Only one man can stop a villain who, backed by his father, brutally murders anyone who gets in the way of his unscrupulous real estate deals..
Three struggling room-mates unknowingly become potential prey of a ruthless gangster. 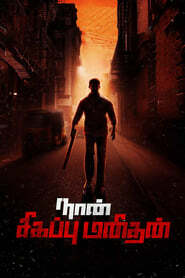 A reputed cop from Tamil Nadu takes charge in Andhra Pradesh to solve the mysterious murder of a top police officer, and takes on local thugs and crim...More. Gowtham and Kundhavi married then she finds a diary from his time at college, five years earlier. She thinks he would rather be married to Aishwarya, ...More. The story, set in the backdrop of Nallore, a small town in Thoothukudi District, revolves around Sub-Inspector Durai Singam (Surya), a brave and just ...More. 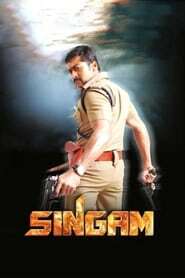 Picking up the storyline from where Singam ended, Duraisingam (Suriya) has gone undercover after meeting the Home Minister and is working as an NCC of...More. 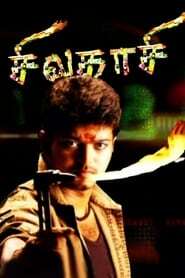 Sivakasi (Vijay) is man with a golden heart. A do-gooder, who dotes on his mother and sister. The theme revolves round the sacrifices he is called upo...More.